We have been working hard to keep the plants happy through the spring. 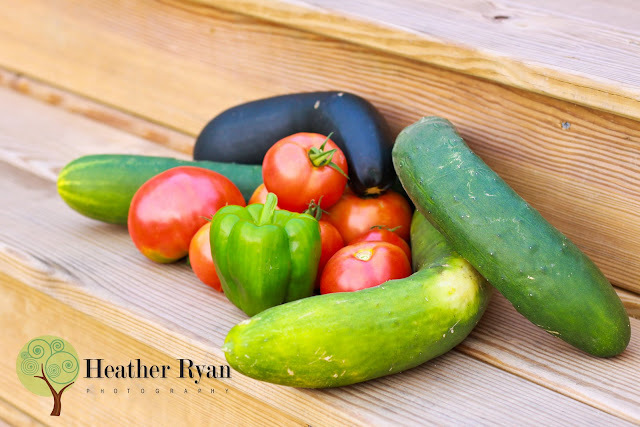 Now that we're into August we're able to enjoy the payoff -- fresh veggies! It's still early, and this is just the beginning, but I am quite excited for this summer's veggie garden. Here's a look at what's come off the vine so far: tomatoes, HUGE zucchini and cucumbers, and our first green pepper! 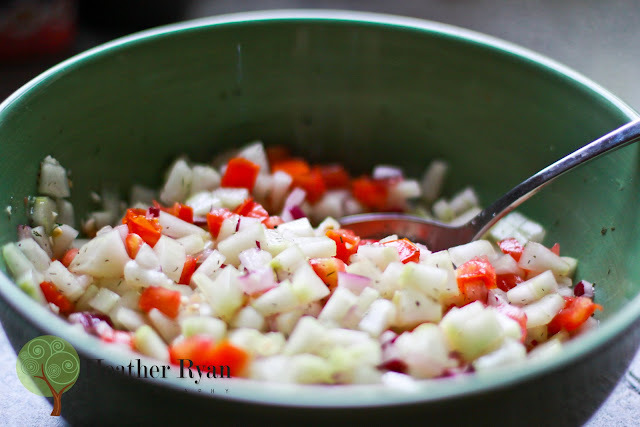 The result of some of the ingredients: fresh cucumber, tomato, and dill salad. The dill came from our herb garden which is doing pretty good this year. I lost my cilantro plant for the second year in a row! Figures my favorite herb is the one herb I can't keep alive!